Once upon a time there was a dog who had crazy adventures, unbelievable stories, and perhaps even super powers. Her name was Rue. And Rue took the world by storm because we all loved her so very much. Every day I’d wait anxiously (along with thousands of her fans) to see what new schemes and crazy adventures she’d come up with that day. Until last week Rue unexpectedly passed away. To commemorate Rue’s super power adventures, Jessica Vaughan-Reimann, Rue’s caretaker, put together a digital copy of all Rue’s escapades called SUPER RUE’S ADVENTURES. 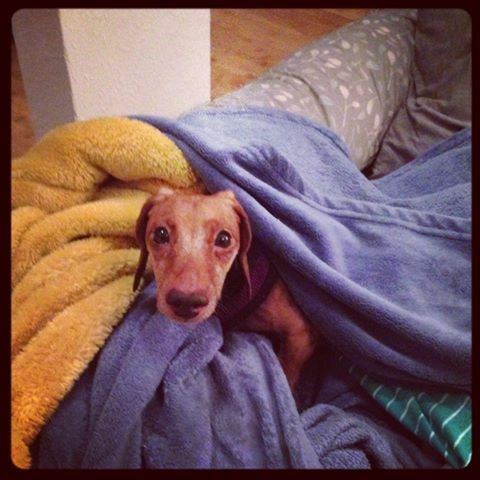 Rue started life as a regular dachshund, but after a surgery for her back and a trip into a hyperbaric oxygen chamber she ended up with super powers. She keeps track of her daily adventures in her journal and on her blog. 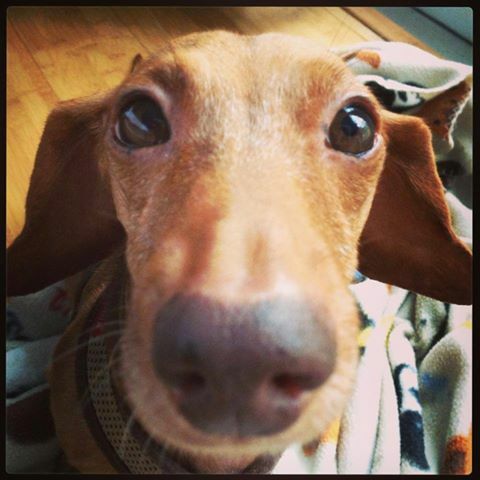 She is a very active differently-abled dachshund whose determination and love of life will inspire you. 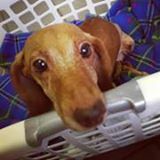 Jessica was using the sales of this e-book to pay for the costs of Rue’s surgeries, but now a portion of the proceeds will be donated to the Dachshund Rescue of South Florida’s IVDD surgery fund. I know I’m going to miss hearing about Rue’s adventures, but I love how Rue’s memory will live on through her book. Tags: Dogs, Rue, SUPER RUE’S ADVENTURES. Awww, I am going to show this to my 8 year old. She would love this! Oh I am sorry. I cried for days when our dog died. What a cute idea to write her stories down–it’s a bit of a way to keep her alive. Always sad to lose a beloved pet. What a great idea to remember Rue! Our cat died two days ago, and a part of me now wishes I had kept a photographic journal of her days. She, too, was a rescue cat. Now she’s hanging out with Rue… She liked dogs and thought she was one.